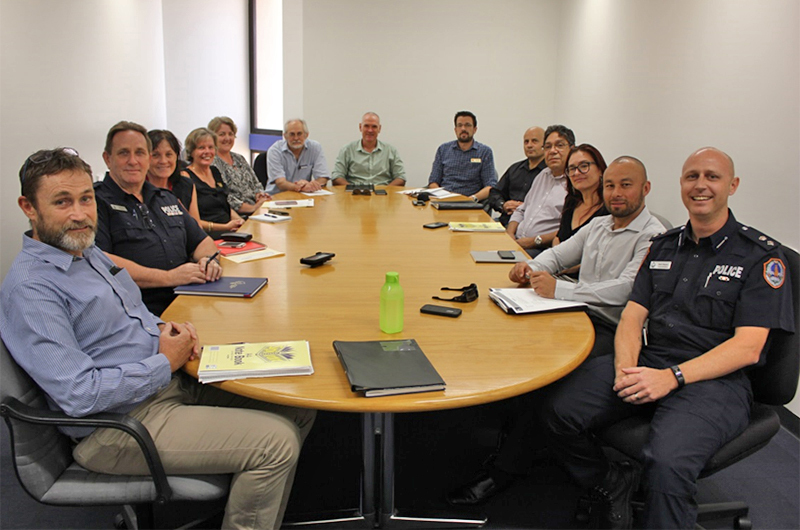 The inaugural meeting of the newly formed Central Australian Remote Areas Inter-agency Tasking and Coordination Group (RITCG) was held in Alice Springs in February. The group will focus on identifying emerging issues and managing them collaboratively, by developing and implementing problem solving plans to address issues through a unified approach - while complementing other plans such as the Community Safety Action Plans (CSAP) which are already in place in most remote locations. The group was formed off the back of the successful model that is currently operating in Alice Springs, but with a remote focus. It brings together a number of Northern Territory Government agencies (Education, Health, Housing, Corrections, Department of the Chief Minister, Prime Minister and Cabinet, NT Police and others) along with local government. Its intention is to bridge the identified gaps between strategic level engagement across government and the operational staff on the ground in remote locations. Members of the Central Australian RITCG at the inaugural meeting.